Five-year-old Rock n’ Gold rallied from off the pace to win a $24,000 allowance contest going away on March 23. Under Christian Hiraldo, the five-year-old, West Virginia-bred Medallist mare was a half-dozen lengths back after a quarter mile but steadily advanced to win by 1 3/4 lengths in 1:21.07 for 6 1/2 furlongs. The Tim Grams trainee, a homebred for Grams and his wife Judy, now has five wins and $134,620 in earnings from 20 career starts. She has finished in the exacta in six straight starts, two of those being runner-up efforts in stakes. Two races later, in a $24,500 allowance, Follow the Notion rallied from last, 11 lengths off the lead, after a half-mile to win by 1 1/4 lengths in 1:26.28 for seven furlongs. After a winless 2017, the Gary Williams homebred by Great Notion is now two-for-two in 2018 after the win under Jose Montano. The 2016 WVBC Onion Juice winner now has seven wins and $176,170 in earnings from 25 starts. Charles Town lost two of four scheduled cards to the midweek winter storm that hit the Mid-Atlantic. Making her career debut, Goodonehoney had plenty of excuses in a $40,000 maiden claimer on March 24. She hopped a bit and was away from the gate a little bit slowly and then was stuck in behind horses with no place to go rounding the far turn. When she and jockey Steve Hamilton did find room, however, she exploded through the hole and went on to take the six-furlong event by almost five lengths in 1:10.85. The sophomore Great Notion filly is trained by Jason Egan for breeder Kasey K Racing Stable, along with Final Turn Racing Stable and Michael Day. In her first two starts of 2018, Frosty Margarita beat just a single horse while losing those races by a combined 30 lengths. But on March 25, the Rudy Rodriguez trainee shipped down to Laurel Park, got away with setting a sluggish early pace under Jomar Torres, and had plenty in reserve to win a second-level allowance by almost three lengths in 1:37.91 for the one-turn mile. It was the sixth career win for the multiple stakes-winning Frost Giant mare and pushed her earnings to $518,166. It looks like Lydia Sweetie will make short work of her Pennsylvania-bred conditions. The three-year-old Any Given Saturday filly, bred and owned by Dr. William Solomon, posted a game score on March 24 in an entry-level allowance for state-breds at Penn National. Under leading rider Julio Hernandez, Lydia Sweetie dueled for the lead for a long way before disposing of pace rival Abuela Loca inside the final furlong, then had enough to hold off late-running rivals to win by almost a length. Trained by George Albright, Lydia Sweetie has two wins and a second from four starts. The improving Spanky took a $46,000 allowance contest March 24 at Parx Racing for her second career victory. Under Ruben Silvera, Spanky stalked the early pace in the six-furlong test before surging in the lane to win by 1 1/4 lengths. The daughter of To Honor and Serve is trained by Louis Linder and now has two wins from seven starts. Trainer Jeff Runco continued a torrid run at Charles Town. Runco won four times from 14 starters over the racing week and now has 13 wins at the track in March — eight more than any other trainer. With the surge, Runco has taken over the meet lead with 21 victories — one more than Ronney Brown — and $380,062 in earnings. 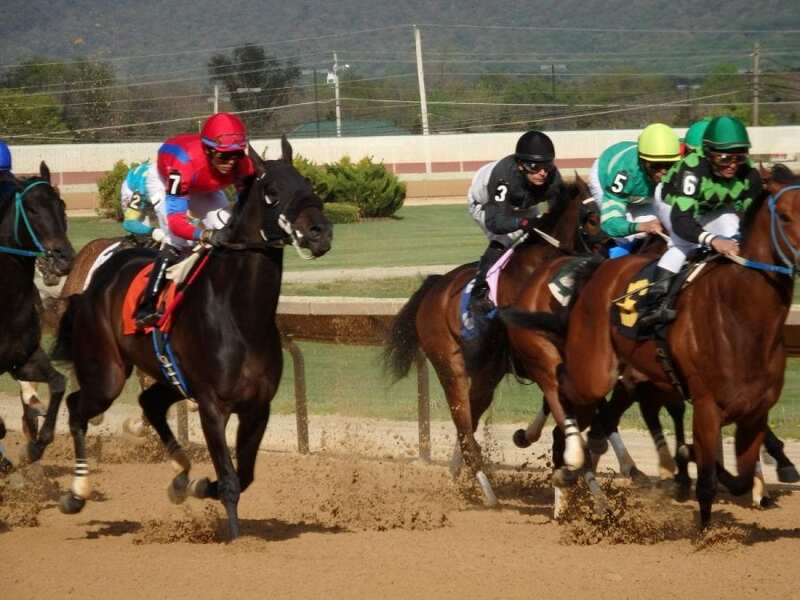 Jockey Gerald Almodovar won with five of eight mounts during the week to pad his overall lead. Almodovar has 31 wins at Charles Town, six more than Christian Hiraldo in second, and his $426,000 in purse earnings are about $4,000 more than Hiraldo has. The father-son duo of Steve Hamilton and son Weston Hamilton enjoyed a big weekend at Laurel Park. The two of them combined for nine wins, with Steve winning with five of nine starters and Weston striking four times on 17 mounts. Weston Hamilton is second by wins in the colony with 30 — five fewer than Jorge Vargas, Jr. — while Steve is tied for fifth with 16 victories. At Penn National, the jockey battle between Julio Hernandez and Angel Rodriguez continued to cook. Hernandez won with five of 12 mounts during the racing week, while Rodriguez scored four times from 10 starters. That left Hernandez with a slim lead, his 35 wins being one more than the 34 registered by Rodriguez. They are both well clear of Dana Whitney in third place.